Dave Cockrum X-Men #102 Cover Original Art (Marvel, 1976). "If Colossus Should Fall - Who Shall Stop The Juggernaut?" was the cover blurb that accompanied this dynamite battle cover. Without logos and such covering some of the art, the atmosphere of the scene (a castle in Ireland) is even more striking! Colossus was the central character on just about every early cover. Nightcrawler, reportedly the artist's favorite X-Man, looks on along with Storm. This Bronze Age blockbuster is but the second Cockrum X-Men cover we've offered to date, and the first from his original stint on the book. Cockrum's status as one of the best at delivering dynamite covers is underlined by the fact that he continued to be assigned many X-Men covers even after young John Byrne took over the interiors the following year. What other Marvel cover has ever delivered such raw punching power? The way Cockrum puts the reader so close to the action reminds us of the likes of Journey Into Mystery #114, Thor #126, and Defenders #10, but as memorable as those showdowns were, we dare say this concussive close-ranger equals or betters any of them. This oversized drawing has an overall size of 11.5" x 17.5". Signed by Cockrum at lower right and upper left. Aside from missing its logo and type stats (which were most likely attached to an overlay), the art is in Excellent condition. 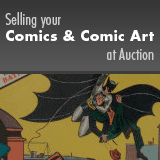 I wouldn’t hesitate for a minute to recommend you to other comic book collectors or owners of fine arts.